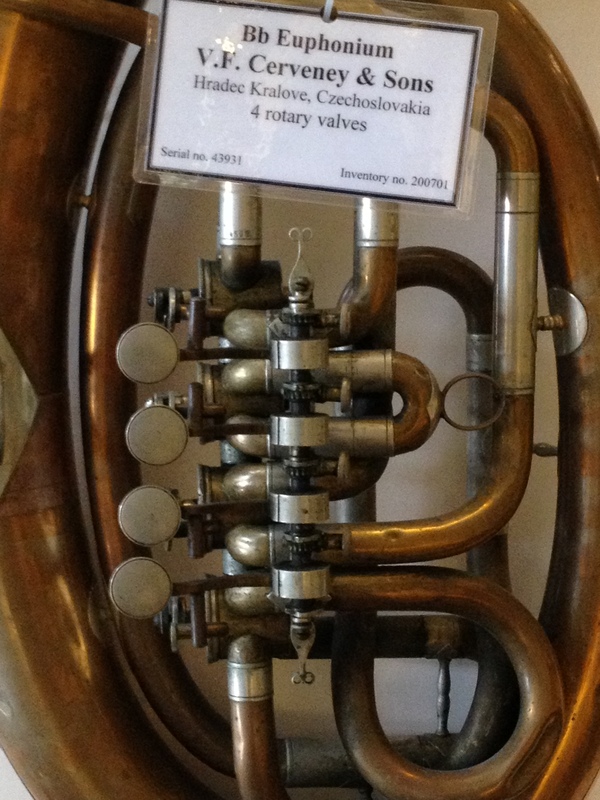 This euphonium also features the 1873 patented feature of Cerveny instruments, their Walzenventile, or “roller valves”. This roller valve mechanism is basically rotary valves that have been rotated 90 degrees from their typical position. This was done to simplify the mechanism, by increasing the mechanical advantage of the lever system. The 1873 patent also covered the spring tension adjusting screws, seen in this example as well. 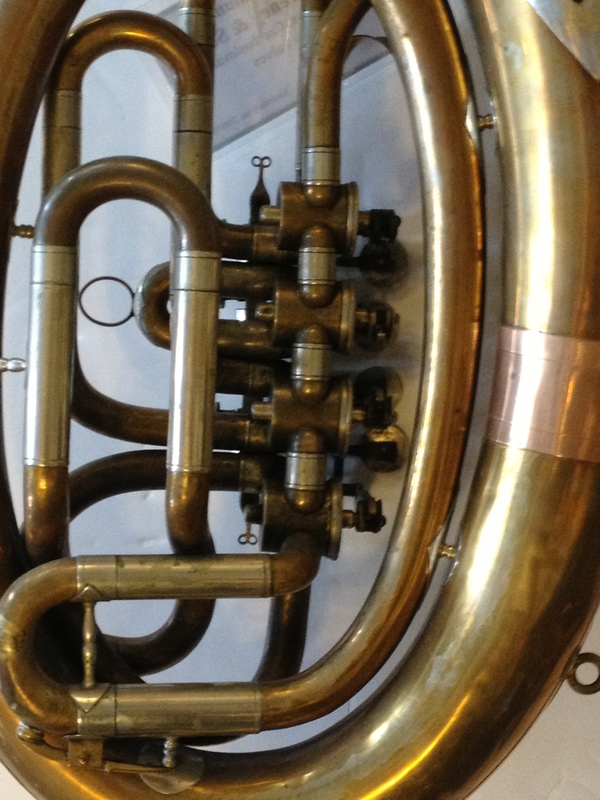 This mechanism was an extra cost option on their higher grades of instruments. 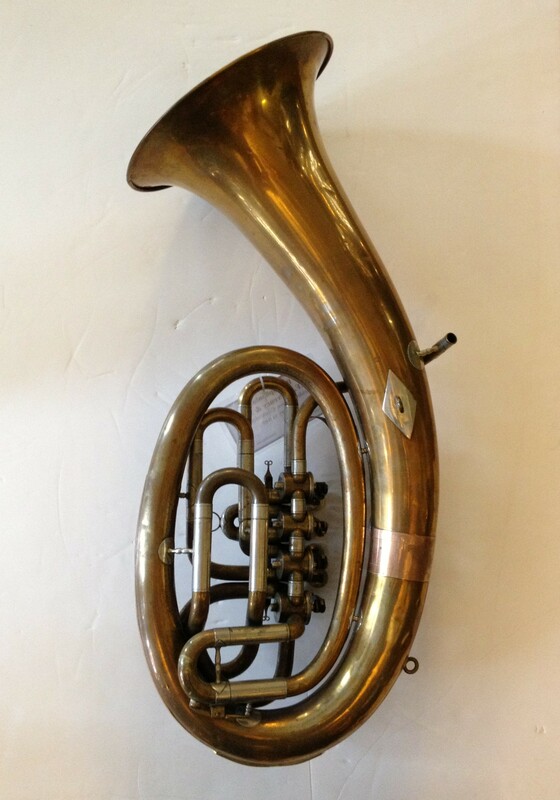 This Cerveny roller-valved horn exhibits the much less ornate seal used in the home market. 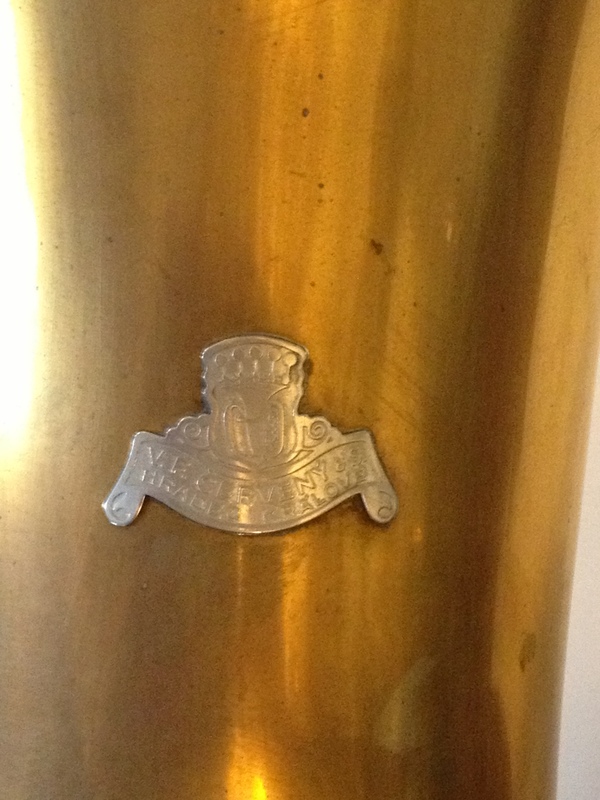 Contrast this with the ornate seal applied by the Chicago distributor, and shown on the BBb tuba #09314 in the special collection. 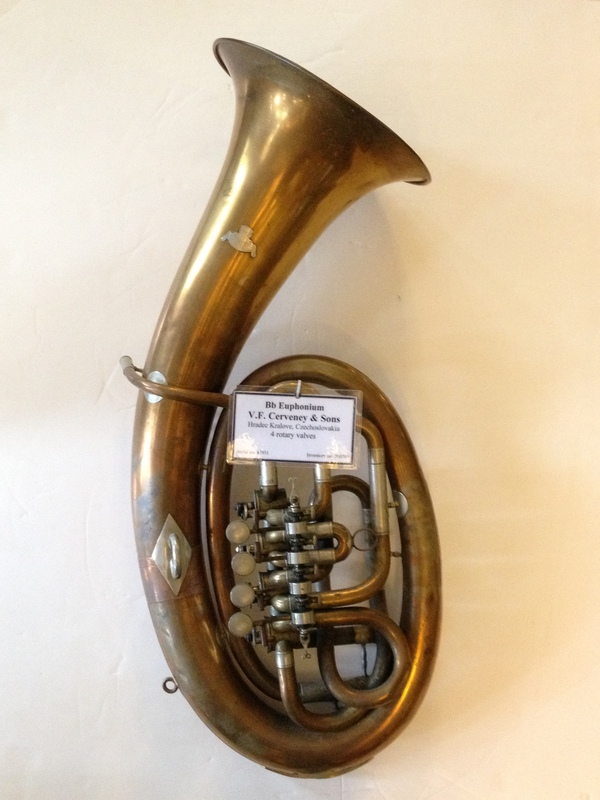 Additionally, this was not the highest grade of decoration, as compared to the beautifully engraved valve mechanism of the BBb tuba #09314. Seal with coat of arms on bell. “V.F. CERVENY & S. / HRADEC KRALOVE” on seal.